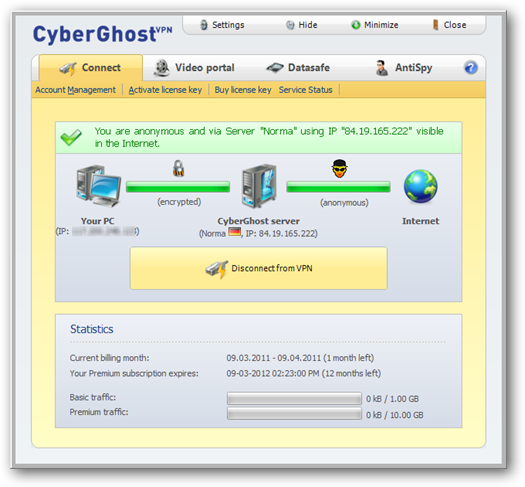 There are numerous free and paid VPN anonymity service providers but only few of them provide reliable service with fast speeds coupled with an easy to use client software, a very rare promo from one such leading VPN service provider Cyberghost VPN is currently available offering free PREMIUM VPN access for 12 months including 2GB of encrypted online data storage. 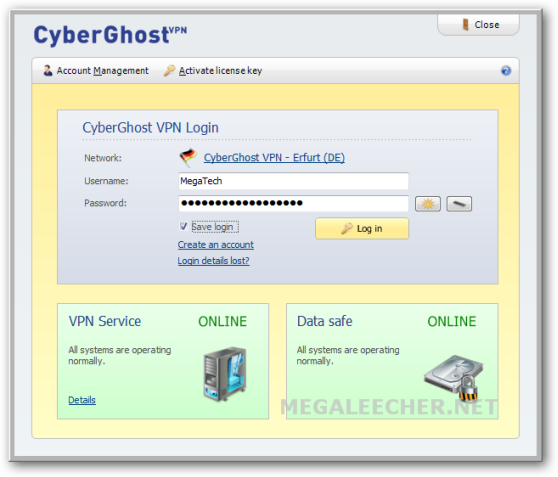 Apart from the usual anonymous 128-bit AES encrypted connection tunnel, Cyberghost VPN provides the most advanced and feature rich anonymity desktop client application with added features like anonymous email fetching service and online secure data storage space. Having a strong infrastructure of 48 servers spread over various countries CyberGhost VPN is definitely going to provide a very good experience to users. 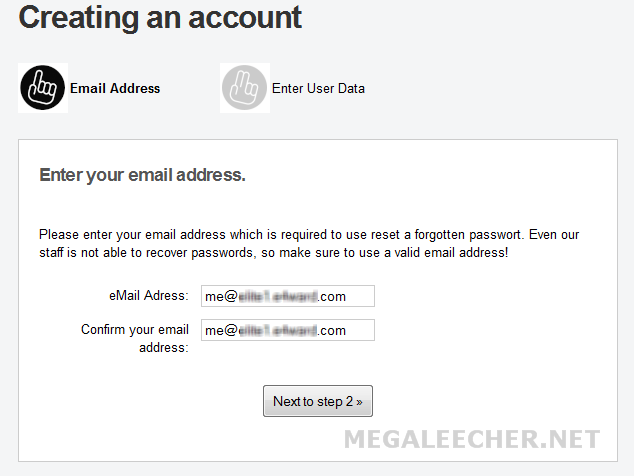 To get started visit the promo page at http://goo.gl/dVTFW and complete the signup process. 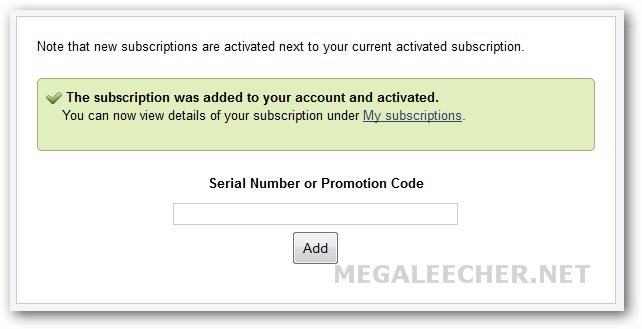 Now, when asked for enter "quale157" as promotion code as shown below and click Add to activate the special promotion offer. 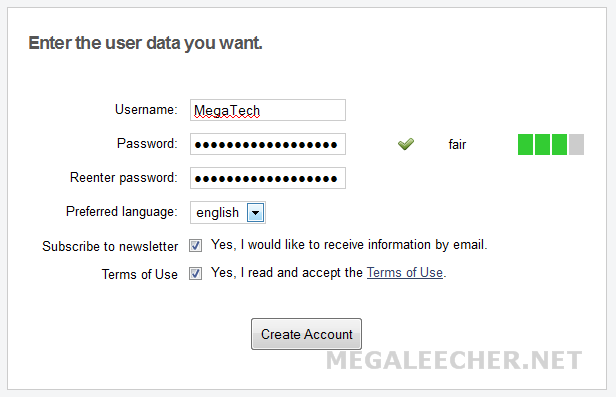 You account status will now reflect the 12 month premium VPN features which is 2 GB secured storage and 10 GB bandwidth. To start using the service, download VPN desktop client application from here, install and login using your premium VPN account created above. Enjoy free premium VPN anonymity access for a full year. Share this post with your friends and have them enjoy benefits of this limited time offer. Bittorrent protocol seems to be filterd out ! doesnt work for me. It's good for a location spoof. No torrent trafic , big no no for me to spend my cash. Excelente, lo probé y funciona, ésta página es la mejor. Do they record your logs? I can see that they don't support the Bittorrent protocol, so for me personally it's not what I am after and will stick with BTGuard for P2P. However, it looks like a fantastic deal for people just wanting to secure their traffic or access on-line TV and films that are otherwise restricted due to geo-location issues. Isn't there a download for Mac? Downloaded and setup okay, but can't get through. China's recently blocked a load of stuff, so maybe newly blocked. I can't even get to their website to email them. Sigh. This promotion has expired can some one have new promotion code or working Serial Number? Thanks for the Cyberghost VPN. I have been looking for the procedure for a long time. The steps are really helpful. Appreciated. hello sir, did u give me other serial number or promotion code to make my accout premium, i have register, but i can't download my configuration to save in my android.